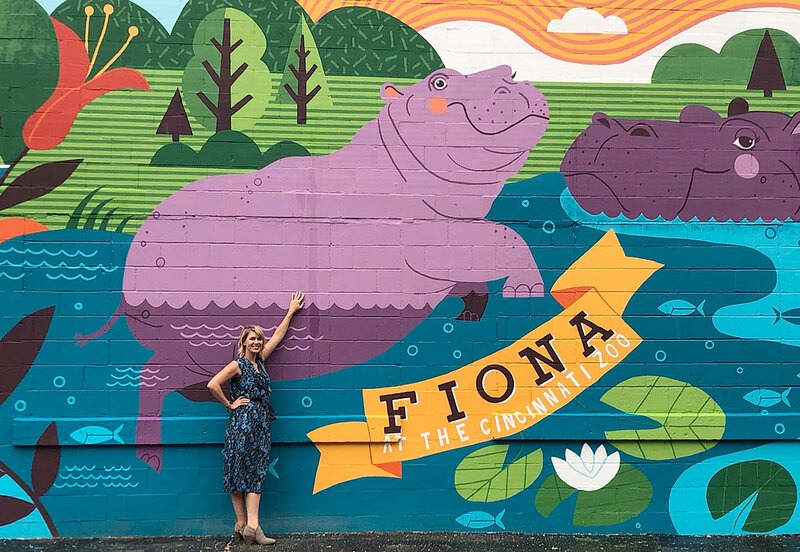 Lucie Rice, had the pleasure of designing this mural of Fiona the Hippo for the Cincinnati Zoo. Lucie’s design of Fiona was chosen as 1 of 5 finalists after more than 21,000 votes were cast online. 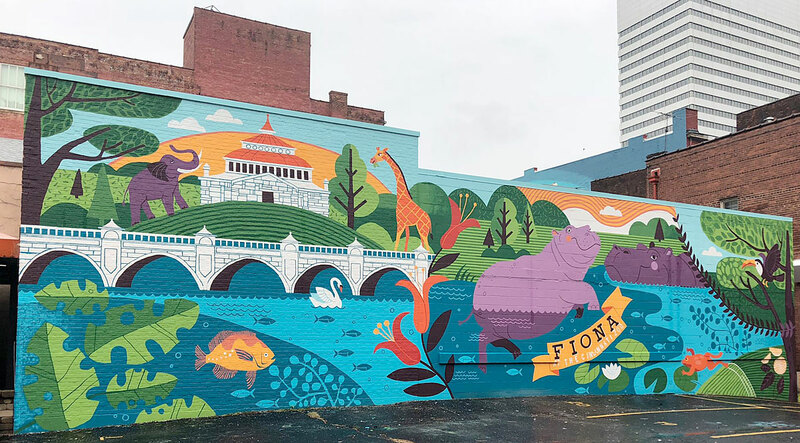 Fiona’s story has inspired people all over the world, so it was only fitting that she have a mural custom designed in her honor!